OK, let’s admit it. Most of us have more then just one email accounts. And all three search engine giants (Google, Yahoo and Microsoft) have their own free online email services, so which one do you choose and which one is the best? So I decided to run an experiment to send some photos I’ve taken during my trip to China using all three email services, and the following are the results. The oldest of its kind, Hotmail did a heavy facelift in late 2008. You have to attach photos one by one. An error message will be returned if you try to attach more files while a file is being uploaded/attached to an email. There is also no indication what’s the progress of a file upload (it just says uploading…). Try imagine attaching 10 files. It feels like a pain to me. The total size of your files/attachments has a limit of 10 megabyte. Attachments is Yahoo Mail is a little bit better then Hotmail. 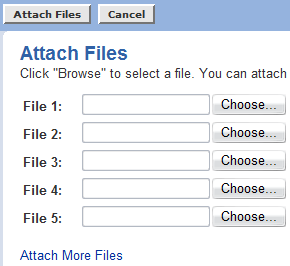 It allows you to attach several files prior to pressing the “attach files” which will then attach all files in one go. But you would still need to select the files you want to attach one by one initially. 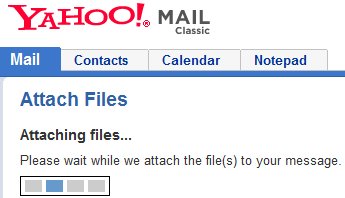 You can’t tell exactly how long your file uploads is gonna take as Yahoo Mail will simply tell you – “Please wait”. But I don’t like to wait, and I would also like to know how long should I be waiting. Yahoo mail has a upload size limit of 10 megabyte as well. This is how email attachments should be done. You can browse and select multiple files in one go and all files you’ve selected will be uploaded and attached. It’s also generous in allowing you to attach up to 25 megabyte of file attachments. These findings strengthen my decision to use gmail as my primary free online email service provider. I thought Gmail was the clear winner here, didn’t I make that very obvious? Today I tried uploading 6 photos in Yahoo and Hotmail. because receiver’s mailbox must have been full or had limits. Windows Picture and Fax Viewer (I use XP). Hmm… I didn’t know Hotmail can do that. You did mention something “adding the software hotmail wanted” so I assume that there was something extra you need to do or install before your files were compressed and uploaded? 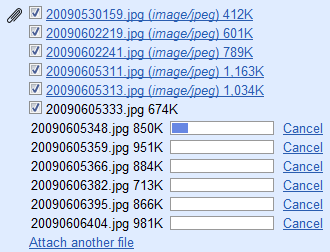 As far as I know, Gmail doesn’t compress selected photos into a zip file before uploading, but you can certainly zip them by yourself into one file before uploading. In Hotmail, instead of clicking Attach> File, do Attach> Photos. You get an experience that slaughters the others. There are 25 megabytes available on yahoo but it is as slow as a snail chasing after a dog.